Analysis by Christopher Hector: If there were an award – and no doubt there should be – for the leading breeder of show jumpers at the European championships, there is no doubt that the award would go to the Belgian breeder, Herman de Brabander. Last year at Aachen, it was Herman’s cousin, Joris, who had four horses he bred in the Nations’ Cup. 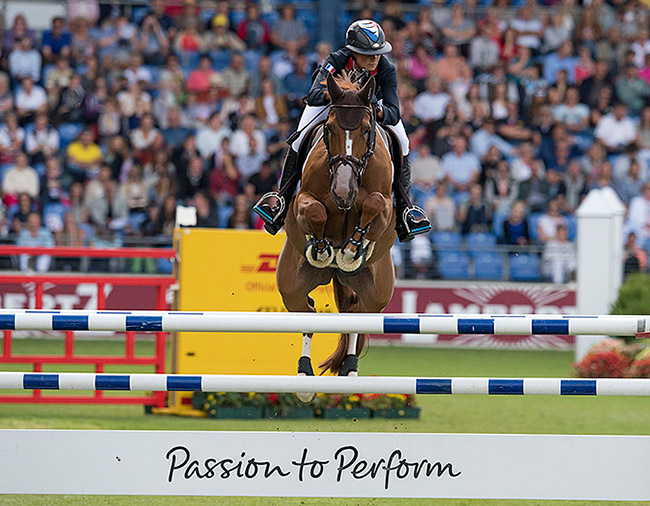 This year it was Herman, with two of his breeding in the limelight: Flora de Mariposa who finished fourth with Penelope Leprevost and Cantinero who finished 19th with Henrik von Eckermann. Flora is by For Pleasure, out of Adeline, who is by the Pilot son, Power Light, out of Quirinal by Quito de Baussy, out of Herman’s foundation mare, Londy. Cantinero who should rightly be called Chopin de Mariposa, is by Cento, out of Trezebees (by the Cor de la Bryère son, Cash) out of Quirinal. How did you start breeding horses, was it in your family? What stallions do you use now?